You are currently browsing the The Pet Product Guru blog archives for the day Wednesday, January 16th, 2019. Yesterday, we had a 4.7 magnitude earthquake hit about 136 miles off the coast of Ocean City, MD. It hit about 6:30 pm. At this time, I was recording part of today’s radio show. I didn’t notice anything unusual at the time and felt nothing here in southern Delaware. The only thing that caught my eye was my cat Millie, who was resting comfortably, suddenly jumped up and dashed under the bed. 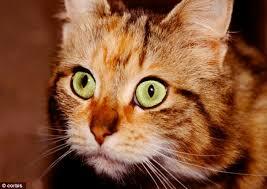 I believe that our pets have an ultra strong sixth sense. Millie may have sensed something unusual was happening at this time. I once had a small dog, who started barking and jumping around early one Saturday morning. I then felt a rumble which I thought may have been an explosion. It turned out to be an earthquake centered up in Westchester, about 30 miles north miles north of where I was living at the time. The best music on the best station! Edgewater Gold Radio, your place for the greatest oldies of all time! Download our free Edgewater Gold Radio app or listen from our website: Edgewatergoldradio.com.